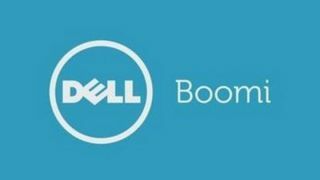 In its continued efforts to build the connected business, Dell Boomi has announced its product vision to reinvent the iPaaS industry with new intelligence and blockchain capabilities. The company believes that iPaaS needs to do more than just integrate applications, it needs to provide connectivity across the entire business ecosystem. Boomi’s reinvented iPaaS starts with a new user experience (UX) designed to be accessible to people with all levels of tech savviness. Users can focus on the problems they need to solve with guidance provided to suit the project they are working on. The new UX is also designed to support real time collaboration across teams and users with requisite controls and tracking. Artificial intelligence (AI) will also be making its way to Boomi’s platform with 20TB of anonymous metadata used to incorporate intelligence into every step of a user’s journey. This pervasive knowledge is included in every aspect of the company’s platform to aid users in being more productive. Finally Boomi announced that support for both the Ethereum and Hyperledger Fabric blockchain platforms is coming to its platform. This new addition will allow customers to easily incorporate blockchain smart contracts into their business processes.